This is the last in a series of three blog posts highlighting S.O.U.L. Sisters’ work. To read the first post, please click here and to read the second post, click here. 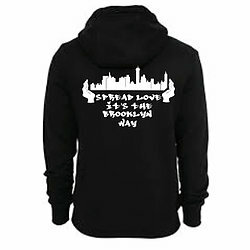 SOUL Line partners with professional fashion designers, graphic designers and business owners to make 100% youth designed products carrying a positive social message. 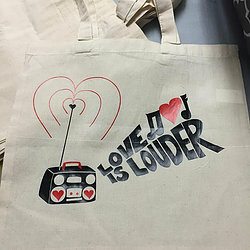 S.O.U.L Sisters’ Youth Social Entrepreneurship program provides opportunities for young women of color, transgender and gender non-conforming youth in middle school and high school to develop business, design and entrepreneurship skills through SOUL Line, the Youth Social Enterprise. How can you help build the Youth Social Enterprise? 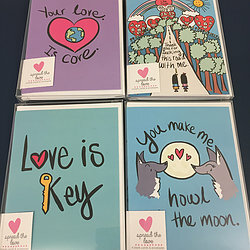 SOUL Line has sold 80% of the ShaheenXSoul clutches, over 40 of the SweetDominoXSoul greeting cards, and 22 RecconectXSoul t-shirts and hoodies! SOUL Line has made close to $2,000 in revenue! All proceeds go directly back to supporting SOUL Sisters’ programs. SOUL Sisters partnered with Rocio & Roman to make the commercial for SOUL Line! The commercial will be coming soon! YOU can make a positive impact through purchasing a socially conscious product to spread the message of LOVE and support the women in BUSINESS! Shop For Change by clicking here. ← Equal Pay Day 2016: What are you worth?